As a member of the Church of Jesus Christ of Latter-day Saints, we truly have one of the most unique organizations in the world. I was marveling at that this morning as I watched videos from the dedication and construction of the Relief Society building. So many thoughts and impressions weighed upon my mind, and it was reinforced to me once again what I have long felt. There truly is no organization of women on earth who enjoy greater privileges than Latter-day Saint women of the Relief Society. How ironic it is that some women speak so much about gender equality in the Church, while leaving the subject of Relief Society so conspicuously absent from the conversation. Indeed, I have never seen a critical exposé on our "gender inequality" that considered seriously the positive, essential role of Relief Society in the Church. What a critical error for anyone claiming to present an objective representation of the Latter-day Saint woman's experience. The Relief Society plays such a vital and all-encompassing role in the Church that to remove it from the portrait would be to leave an absurd emptiness. Of course we would appear disenfranchised if you removed our most important contribution from the picture! Watching these videos and reading the short biography of the Relief Society's building gave me such great satisfaction because of what it demonstrated to me of our place in the Church. 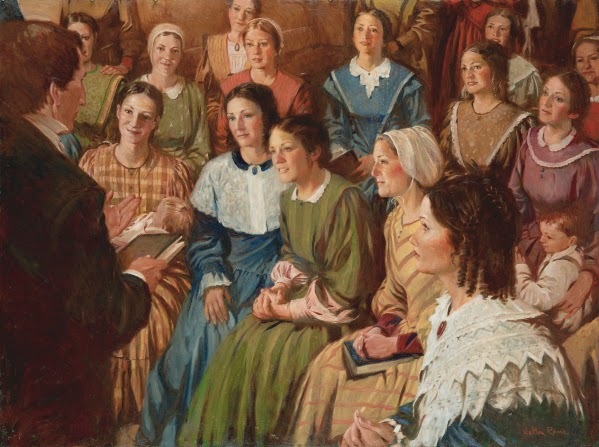 From the time the Relief Society was established in Nauvoo, Illinois in 1842, it has always occupied an autonomous and fully integrated part of the Church. The Prophet Joseph Smith said he"turned the key" on behalf of the Relief Society, referring to the power and authority he was giving them to govern themselves. It is a power and authority we have enjoyed ever since. What is the role of women in Relief Society? What does this Relief Society building represent to me? It represents the independent sphere of influence that women in my Church still possess. Our mission to spread the gospel throughout the globe, to alleviate poverty and suffering of every kind, is one we can accomplish in any way we see fit. There is no one to stop us when serving others, and meeting their real temporal and spiritual needs, is our objective. We have the responsibility and stewardship to accomplish the mission of the Church in our own inspired ministry. Through our own empowered, inspired female leadership, we have shaped our organization on local levels throughout the Church. This female leadership functions in every corner of the globe. Local Relief Society presidencies are responsible for women, families, and seek ways to alleviate every kind of need in their own communities. Within the Church there are tens of thousands of women who hold these roles in Relief Society presidencies. There are millions more women who fulfill assignments given to them by the Relief Society presidencies, without any sort of interference or interruption from male leaders. Sometimes in the Church, we take this influence for granted. We lament the responsibilities given to us by our Relief Society presidents--to make dinners for needy families, to participate in blood drives, cannery assignments, to donate clothing, to give rides to doctor's appointments--but this is what empowered service looks like in our day. We meet real needs of real people around us. This is what the Savior would be doing if he were here, and we should consider no service too small or unimportant for us to do. It may not be politically-driven activism--not because our women cannot or will not take political stances in their service, but because so often it does so very little to foster any real or lasting change. If you want to change lives, you can't do it exclusively through policy changes and pat yourself on the back. Change happens as real women provide real Christian service to others. There really is no substitute. We care more about the families in the homes--the food on their tables, the clothes on their bodies, the knowledge in their minds, and the testimony in their hearts--that we do about self-aggrandizing agendas and media attention. If women of the Church are dissatisfied with their place in the Church, it is not because there is something wrong with the Church. It's because there is something wrong with the woman and the service she is rendering through Relief Society. Is she doing her visiting teaching--the inspired ministry that EVERY sister is under obligation to perform? Is she performing her assignments to clean the Church, doing service projects with her ward, performing the assignments she is given by the Relief Society president? Does she volunteer to serve her sisters in the ways they need most? And if all of these things are done and she still finds herself wanting for purpose, does she ask herself, "What more can I give?" instead of "What more should the Church be giving to me?" What is Relief Society service like? Historically, the Relief Society has played amazing roles through the history of the Church. They cared for each other as malaria and disease spread through the settlement of Nauvoo. They supported each other as they buried their husbands and children too many times to count in settling the Utah Territory. They stored wheat and saved hundreds from perishing in some of history's most well-known misfortunes: Utah's drought in 1899, the San Francisco earthquake in 1906, the famine in China in 1907, and the U.S. soldiers in World War I. They founded hospitals and trained nurses. They fought for women's suffrage with some of the most articulate language ever penned by female hands. They cared for each other and the community during the grueling years of the Great Depression. They sent humanitarian aid to as many as they could reach in war ravaged Europe after World War II. It was this service that would prepare them to send food and clothing to corrupt and crumbling nations throughout the next 50 years. They continue this incredible service today, mobilizing necessary goods and local membership to be among the first on-scene after natural disasters strike. Earthquakes, tsunamis, fires, hurricanes, tornadoes--the Relief Society will always be there to help those who have lost everything to pick up the broken pieces of their lives. But today, what that service experience looks like largely depends on the local Relief Society president. Her inspired leadership determines what service projects her sisters take on, what assignments are delegated and where, and what causes to support. They work together with the priesthood in organizations like Mormon Helping Hands, in ways that don't always become visible. But Relief Society sisters are always present and primarily responsible for the women of the Church, no matter what the circumstances. I recently moved from Delaware to Idaho. In my previous ward, my Relief Society president wanted to get more involved in the community with cancer patients and cancer survivors. We had several lovely ladies pass away from cancer, or have cancer go through their families. It was a meaningful way for her to reach out to our sisters in need and the community at the same time. In my current ward, my Relief Society president focuses more on fostering friendship, as well as filling a variety of needs-- everything from needs during funerals, to sisters with new babies, and particularly sisters who are unemployed and need jobs or rides to jobs. Every Relief Society president's focus is different because they are responsible for different people with different challenges. The blatant irony that I find tragic for many Mormon women who call themselves feminists, and advocates for "gender equality," is they don't seem to realize the accusations they're leveling are against other women in the Church, not men. Many items on their lists to change include women's participation in ward council, budget concerns, the quality of Sunday instruction, and many other items over which men have no control. Why? Because these issues are handled directly by the women of the Relief Society, Young Women, and Primary Presidencies of the ward. If these items are problems, it isn't for men to solve them because it wasn't men who created them. Women have autonomy in these situations, and it must be women who make these corrections. If we perceive a need in our community or in our Relief Society, we can discuss it with our Relief Society president. If she feels it would not be a good use of her limited resources, we need to respect her decision. If it's a cause or a need we feel strongly about, we can take it upon ourselves to participate without becoming hurt or angry. The Lord brought that need to your attention for a reason. Maybe he intended you to do something about it. I still learn from the experience I had living in Brazil and serving with the Sociedade de Socorro there. I valued my place in Relief Society immensely before that experience, but it took on new meaning as I saw the hardships of the Saints in Brazil. Watching the sisters as they met those demands with love and sacrifice changed my life. I watched as they gave away food when they didn't know where their next meal was coming from. I saw them go to the dangerous parts of their communities to do their visiting teaching. I saw them reach out to each other in times of tragedy and sadness. They valued their place in Relief Society, and used it to bless their sisters in their country. 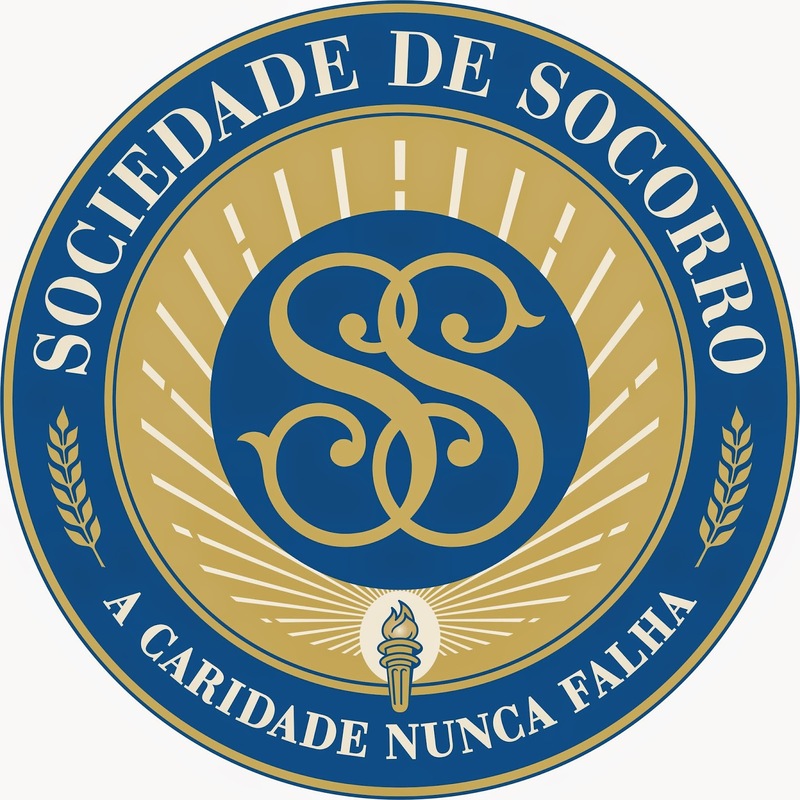 When you translate Relief Society into Portuguese, they use the word Socorro. It's a heart-felt word that means help or rescue. It's the word that would be used if someone were to cry out in pain or fear. To be a part of the Relief Society means to rescue others from all manner of want, suffering, and fear. It wasn't until I saw the Saints in action in Brazil that I understood what this means in our world today. I testify that Relief Society is a divine organization, inspired by Almighty God. Through it he performs his modern miracles in every corner of the earth. He empowers his daughters with the same power, giving them the same authority he gives to his sons. I've watched him work and I know these things to be true. I am proud to be a sister in Relief Society, it has blessed my life with what I needed, when I needed it most. I know that when I participate in Relief Society service, I draw closer to God and help to build his kingdom. In it, I am an empowered Latter-day Saint woman, and no news agency or advocacy group can change that. In the name of Jesus Christ, amen. For more reading on the Relief Society, including the source of my historical facts, see Daughters in My Kingdom, The History and Work of Relief Society.